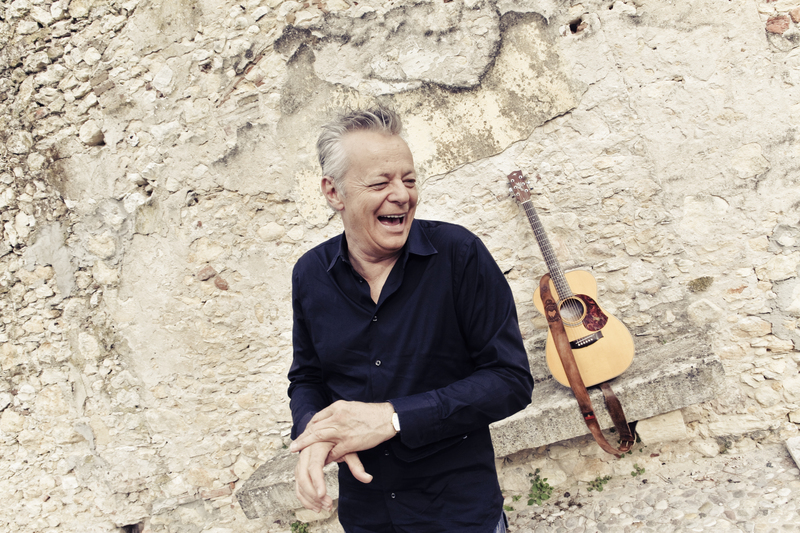 If you’ve heard his solo guitar adaptations of songs by The Beatles and Mason Williams that have been making the rounds on social media lately, you’ve undoubtedly uttered an expletive or two in appreciation of Australian-born fingerstyle guitarist Tommy Emmanuel’s gusto and technical prowess. 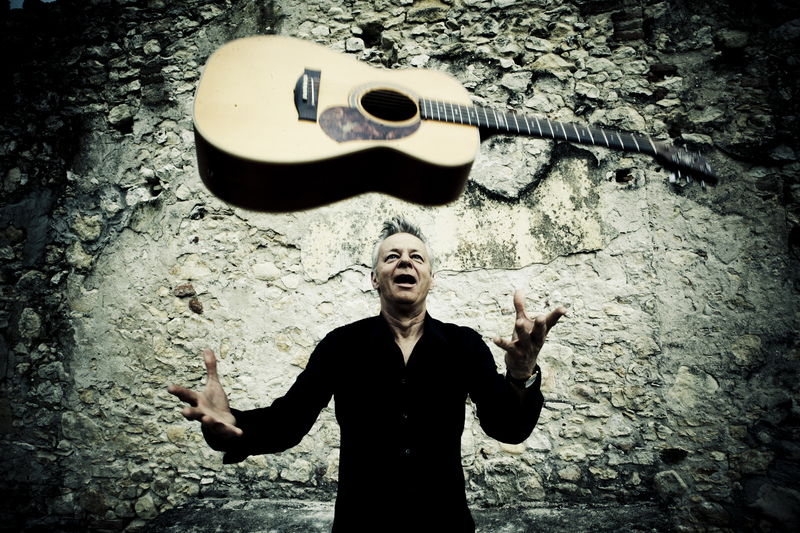 A one-man band of sorts, Tommy simultaneously plays melodies, bass lines, rhythm parts and percussion on a single acoustic guitar. Local Santa Cruz: It’s refreshing to hear a musician using virtuoso technique in the service of the songs, as opposed to just using the songs as an excuse to show off. 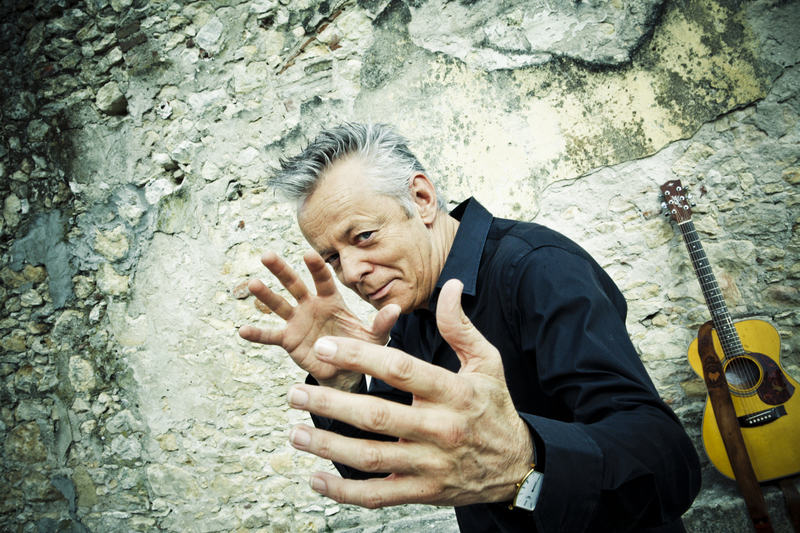 Tommy Emmanuel: Oh, I don’t need an excuse to show off. I can show off anytime I like! [Laughs] I could care less about appealing to other musicians. It really is about playing the music and making a difference in other people’s lives. One of my favorite parts of what I do is seeing fathers and sons, mothers and daughters [all] liking what I do. I have a saying that is on one of my caps that we sell at shows: “Music brings people together.” And that’s the same principle as sports or competition: that common love for whatever it is. It makes people light up. When people are in that state, you know that they’re not thinking about their troubles right now; you’re giving those people relief from that somehow. Jim Carrey, the great comedian, calls it “freedom from concern,” and I think that’s a good way of putting it. I try to do the same thing musically. When you listen to a band or orchestra, do you find yourself automatically thinking about how the music they’re playing might be adapted for solo guitar? It depends if it really sticks out. If I hear something that really grabs my ear, I can already start working it out in my head and kind of hear what I want to do with it. But I have people writing to me all the time saying, “Why don’t you do the theme to Game of Thrones?” “Why don’t you do the theme to Titanic?” That’s great music, but not all music lends itself to solo guitar. There are guys out there who play versions of “Billie Jean” or “Beat It” or some of those Michael Jackson songs, and they don’t really suit [the instrument] at all. I just hear a guy trying to interpret the melody, and it sounds half-assed, you know? [If] you want to put on Michael Jackson doing it, okay, great—I’ll listen! But then there are other songs like The Beatles’ “Lady Madonna”—that definitely works on guitar. But that’s only my opinion, and what the hell do I know? Since your arrangements are so intricate, isn’t there a high risk of crashing and burning when you play a difficult passage in concert? No. Absolutely not. The only risk I really take out there is if I allow my mind to wander, then I’ll definitely make a mistake, so there has to be a level of concentration that must be maintained at all times. That’s what keeps things flowing and causes you to stay in the pocket and in the groove. At the same time, let me say that every show, I improvise the whole thing. I don’t work to a set list; once I’ve decided what I’m going to start with, then I just jump out of the gate playing, and we see where it wants to go. You’re always hoping to be a little bit crazy up there and really fly your kite. That’s fun for you and fun for the audience. Does it require a lot of practice to keep your agility and speed in top shape? Well, people think I’m a really fast player, but have you ever heard John McLaughlin or Al Di Meola? [Laughs] Those guys are fast! I’m slow compared to them. You listen to some of George Benson’s earlier stuff—that’s ridiculously fast! An amazing creative genius, he is. So, I’m happy with the way I play, and I just try to work on getting better at what I’m doing. One of the best ways [to do that] is: Say you’ve got an arrangement of a new song, and it’s coming together. The best thing you can do is just record it on your phone or just normal recording equipment, and then play it back; be the objective listener. A lot of times, musicians get way too inside their own heads, and they’re thinking about how to find ways of making it impressive instead of actually listening to the musical content. The way to avoid that is to listen to what you’re doing from an objective point of view: is it all working? Be strict about it. That’s what I do. Any other advice for musicians who might be reading this? Yeah. Learn good songs. Look for the good melodies, make your arrangements interesting, and if you’re going to steal, you’d better steal from the best.